ARRA News - The story out of Honduras is that the people of that stalwart little country have now taken it into their own hands to preserve their democracy in the most courageous action since they established their constitutional republic nearly three decades ago. Just as former Honduran President Jose Manuel Zelaya Rosales prepared to seize full power in direct violation of the nation’s Constitution, the military leadership – with the backing of the people – removed him from power. Unfortunately, Barak Obama, after encouraging the Zelaya coup with his complicit silence, has now condemned the people’s move to uphold their Constitution and preserve their freedom. And, as expected, the mainstream media has joined Mr. Obama in censuring the restoration of democracy by censoring the full story. Yet, what actually occurred in Honduras is a case study in the survival of freedom against the most oppressive odds. Earlier this year, in the face of strong public opposition, Honduran President Jose Manuel Zelaya Rosales declared that he would stage a referendum to have the country’s constitutional term limits law overturned, thereby allowing him to remain indefinitely in power. 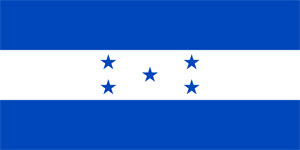 The people of Honduras had adopted the single, four-year--term limit as part of their Constitution in January of 1982. Significantly, the term limits provision is one of only eight “firm articles,” out of 375. By law, cannot be amended. The Supreme Court of Honduras declared the Zelaya referendum unconstitutional, his own Liberal Party came out in strong opposition, and the public overwhelmingly opposed his power grab. Despite this, Zelaya, a leftwing politician with strong ties to Cuba’s Castro and Venezuela’s Chavez, scheduled the referendum for Sunday, June 28. At midnight, Wednesday, June 24, the strong-arm president gave a televised speech accusing his opposition of promoting “destabilization and chaos” by attempting to thwart his unconstitutional referendum. As the situation in Honduras continued to deteriorate, the Zelaya’s attorney general called for his ouster; his Defense Minister resigned; he fired the head of the Joint Chiefs of Staff for stating that he would refuse to send out troops to put down public protests; the chiefs of the army, navy, and air force resigned; and the country’s Supreme Court ordered the nation’s army and police not to support the unconstitutional referendum. Tags: ALG, ARRA News, Barack Obama, constitution, Freedom, Honduras, Honduras Revolution, Jose Manuel Zelaya Rosales, term limits, Zelaya Coup To share or post to your site, click on "Post Link". Please mention / link to America's Best Choice. Thanks! CitizenLink - Focus Action Update: Earlier this week, the Senate held an important hearing on the so-called hate crimes legislation that grants special protections based on sexual orientation and "gender identity" (without clearly defining those terms). Our research staff and the overwhelming majority of family policy organizations are convinced that this bill is a serious threat to our religious liberties. In fact, this bill could impact your pastor's freedom of speech to preach the biblical view of homosexuality. Even though the bill does not specifically target pastors, combining it with the existing "inducement" statute could result in a pastor being charged if an individual commits a violent crime against a homosexual after hearing a sermon about God's view of sexuality. 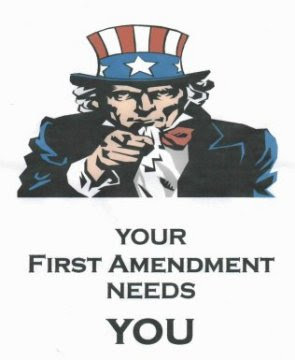 Wouldn't you agree that protecting our precious freedoms of speech and religion are more important than ever? To learn more about how "hate crimes" legislation threatens religious liberties, watch the special online video - - ->. Rep. Michele Bachmann (R-Minn.) speaking on the House floor: Now we've moved into the realm of gangster government. We have gangster government when the Federal Government has set up a new cartel and private businesses now have to go begging with their hand out to their local and hopefully well politically connected Congressman or their Senator so they can buy a peace offering for that local business. Is that the kind of country we are going to have in the future? By a 219-212 vote, eight Republicans and 211 Democrats, passed today what Democrats titled "Cap & Trade." 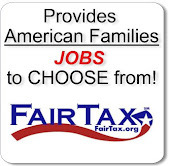 According to The Heritage Foundation, HR 2454 will cost a family of four $2979 per year by taxing energy consumption, increased production costs that will be passed on to the consumer in the form of higher prices, and adverse economic impacts such as lost jobs and lower GDP. Though concerned citizens jammed the switchboards of their representatives yesterday to fight against what is really the Democrats' new "Energy Tax," our elitist elected officials ignored their constituents' pleas and protests to push through this huge tax increase that will surely cripple an already ailing economy. Though President Obama campaigned on the promise of a middle class tax cut, he's a principal backer of this economy-killing tax. The Wall Street Journal points out that the 95% of Americans the President promised a tax cut will be the hardest hit by this latest Democratic plan to seize a bigger portion of our paychecks. Forget for a minute that what Obama calls a tax cut doesn't deserve that moniker. The President claims what he dubs a tax cut will save American households only $500-$1000--nowhere even close to the costs those Americans will incur if HR 2454 passes the Senate and is signed into law. What the President and his Democratic allies are perpetrating is a huge con job on the American people. They hand you somewhere between $500 and $1000, while picking your pocket for $3000--smiling and laughing all the while. That's the worst part. Heritage notes that "Climatologist Chip Knappenberger crunched the numbers and found that even the strictest version of Waxman-Markey would reduce projected global temperatures by just 0.044ºC by 2050." Less than one degree if the Democrats got everything they want and it all works the way they claim. Both of which are doubtful. The fact is, there will be virtually no change to the effects of global warming and Obama and his Democratic pals in Congress know it. This entire bill is a ruse they've created for one purpose and one purpose only--to raise taxes. It's one big con and we, the American people, are the marks. Contact your Senators, and keep contacting them to make sure this bill dies in the Senate. We cannot afford the Democrats' tax increase, regardless what name they give it. Posted by John M. Allison III : Post Link --> 9:48 AM 0 Comments - Share Yours! Representative Michele Bachmann (R-MN) is collecting signatures on her petition to stop the Democrats' political payoff in subsidizing the criminal organization ACORN. Under investigation for voter fraud in 14 states, the Democratic leadership in Congress refuses to investigate its criminal activities that were funded by taxpayer dollars, because ACORN has illegally been instrumental in getting Democrats elected to office. Please sign her petition now! Posted by John M. Allison III : Post Link --> 2:42 PM 0 Comments - Share Yours! Though this was his first year at Lawrence High School, he's been teaching History for the past 19 years. A self-professed liberal student who graduated this spring says, "It's really disappointing because he's a really good teacher. It doesn't seem fair. Why would they let a good teacher go?" But let him go they did, after repeatedly chastising him for being critical of President Obama and even for having a McCain/Palin bumper sticker on his car! Tim Latham states he was also dressed down by his assistant principal Jan Gentry for content on his school website, which she deemed "too patriotic." But liberals needn't worry now because his links to different branches of the US military and the military academies have been removed from the site. The Left no longer needs to worry that his pages may encourage high school students to serve their country. While some of his pages have been left in tact, clicking on the "What I Think" tab now yields an empty page. Another tab on his home page labeled "Terrorism" also contains nothing. Apparently, school officials have scrubbed his pages of anything that might let young minds experience something other than the liberal education establishment view of our world. God only knows that they could just get the idea that Conservatism isn't the evil so many educators wish to brainwash the children to believe. You can help by joining the "Save Mr. Latham, Lawrence High History Teacher" group on Facebook now. Already, 655 have joined to show their support! There's also a discussion thread on the group site to leave your comments. Posted by John M. Allison III : Post Link --> 10:54 AM 0 Comments - Share Yours! You read that correctly. According to Democratic Governor of Tennessee Phil Bredesen went to DC to convince Government Motors to build a new model car in the soon to be shut down assembly plant in Spring Hill, TN. The Democratic Governor stated GM demanded cash up front--you know, sort of like a leave-it-in-an-envelope-on-my-desk-as-you-walk-out- if-you-want-our-car-built-in-your-state bribe. From Channel 5 News in Nashville. "The only one they want to know is how much cash can we put up front, we don't care about tax credits, we don't care about any of those other things, we want to know how large of a check are you going to write on the front-end," said Bredesen. Ahhh, the beauty of having the Chicago political machine wielding its influence from White House. Expect more and more of this type of thing as this crowd gains control of more and more of the American economy. Posted by John M. Allison III : Post Link --> 12:00 PM 0 Comments - Share Yours! Then-Senator Obama voted for the $700 billion bank bailout. Then-President-elect Obama called the Bush bailout of GM and Chrysler a necessity. President Obama then rushed the massive, pork-laden $787 billion "stimulus" package through Congress. President Obama then followed his "stimulus" package with a $3.4 trillion budget that rocketed the federal deficit to $1.8 trillion, four times last year's record. President Obama has demanded Congress complete work on his health care reform plan, that nobody can accurately calculate the cost for, by August. President Obama also sunk more billions of taxpayer dollars into the two failed American auto manufacturers in a Socialist venture that's more than likely going to cost billions more. This President has, without a doubt, proven himself the most fiscally irresponsible leader of the free world in history. And he's achieved all of that in his first 5 months in office. Then today, unbelievably, this same not-quite-a-closet Socialist had the audacity to suggest we adhere to a pay-as-you-go policy because that's the responsible thing to do. What does this man know about fiscal responsibility? From everything he's done in his first months on the job, the answer is obvious. Nothing. Posted by John M. Allison III : Post Link --> 11:51 AM 0 Comments - Share Yours! The main White House argument for health-care reform goes something like this: If we spend now on a hugely expensive new insurance program for the middle class, we can save later by reducing overall U.S. health spending. This "tastes great, less filling" theory could stand some scrutiny, not least because it is being used to rush through the greatest social spending program in American history. What if this particular theory turns out to be a political illusion? What if the speculative cost savings never report for duty, while the federal balance sheet is still swamped with new social obligations that will be impossible to repeal? The only possible outcome will be the nationalization of U.S. health markets, which will mean that almost all care will be rationed by politics. Since Medicare was created in 1965, U.S. health spending has risen about 2.7% faster than the economy and on current trend would hit 20% of GDP within a decade. Every public or private attempt to arrest this climb has failed: wage and price controls in the 1970s, the insurance industry's "voluntary effort" in the '80s, managed care in the '90s. Now the White House -- especially budget chief Peter Orszag -- claims there is new cause for hope. The magic key is the dramatic variations in per patient health spending among U.S. regions. Often there is no relationship between spending and the quality of care, according to a vast body of academic research, most of it coming out of Dartmouth College. If the highest spending areas could be sanded down to the lowest spending areas, about 30% in "waste," or $700 billion each year, would be saved. 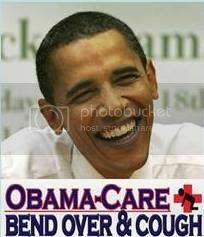 More than enough to pay for ObamaCare. Or so the theory goes. Posted by kmorrison : Post Link --> 1:16 PM 0 Comments - Share Yours! President Obama is pushing for Congress to have a healthcare reform bill on his desk by August, and embattled House Speaker Nancy Pelosi (D-CA) has promised it will happen. Many are asking, "Why is Obama rushing this?" The leader of the free world said himself "If we don't get it done this year, we're not going to get it done." This statement raises the question, why? Why must a task as gargantuan as overhauling an industry that in 2007 represented 17% of GDP be pushed through in a few months? A couple of possible answers to that question come to mind? It could be the President believes the longer the public has to digest the changes he proposes, the less they'll like the taste of it. He may simply want to push it through before Congressmen and women begin devoting all their energy on getting themselves re-elected in 2010, which usually begins during the August recess, which coincides with Obama's deadline. Or, he could actually fear losing too many seats in the 2010 election if the public adoration of our new President continues to wane. Whatever the reason, he continues to press and his Democratic lackeys in Congress continue to cling to his coattails as he attempts to take control of almost 20% of the American economy in one fell swoop. It would be a huge feather in his Socialist cap. Ford Motor Co. is the only thing standing in his way of total federal control of the auto industry, which represents 3-4% of GDP, but no one knows what will happen to Ford now that it's being forced to compete the bottomless pockets of the federal government. He currently has control of a large segment of the financial sector as well. What an accomplishment it would be for our Socialist President to seize control of approximately 1/4 of the US economy in his first year in office! So the President's long-awaited plan to save the world isn't even complete. Yet, he expects Congress to approve it in about six weeks (allowing for days off over the July 4th holiday. I haven't had time to fully review the 167 pages of the plan, but what I've read doesn't make me feel better. Just glancing at the restrictions for setting rates and the inability to turn down applicants with pre-existing conditions will force the insurance companies into bankruptcy unless they drastically increase premiums for the young and the healthy. I'll go more in depth on this in a few days, once I've had more time to read it and call insurance companies to get their take on the President's plan. Over and over in the plan, where the commission didn't know what to write, they simply inserted brackets containing suggestions followed by a question mark, or even a statement that basically says they haven't figured out what to put there! In at least one case, the brackets enclose nothing more than blank space. To be filled when? This plan is nowhere near completely thought out, but yesterday the President launched his campaign to get it passed. It's been said that there are times when it's better to do something, even if its wrong, than to do nothing. This is too large a task for this to be one of those times. Posted by John M. Allison III : Post Link --> 8:45 AM 0 Comments - Share Yours! 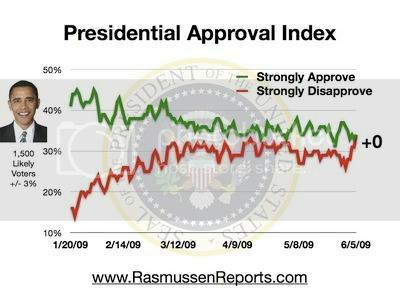 The latest Rasmussen Presidential Tracking Poll shows Americans are waking up to the fact that President Obama is leading us down the road to ruin. Though the MSM still showers him with praises and makes every effort to cast him in a good light, his numbers are slipping. Today's numbers have 34% strongly approving of the President's performance and 34% strongly disapproving. These numbers are a far cry from the 44% to 16% margin he enjoyed the day he took office. Mike's America has a great post on this where he digs a little deeper and has some issue-specific numbers as well. I went ahead and plotted the data in Excel and did the math to find the trend lines to compare. You can view the graphs here. If these trends continue, Obama won't long be enjoying the approval of a majority of Americans. In fact, around his 228th day, those who approve and those who disapprove of the President's performance will each make up 50% of the US population unless he can turn things around. That should be somewhere in the neighborhood of Labor Day. We'll keep an eye on Rasmussen's poll to see what happens. Posted by John M. Allison III : Post Link --> 12:16 PM 0 Comments - Share Yours! 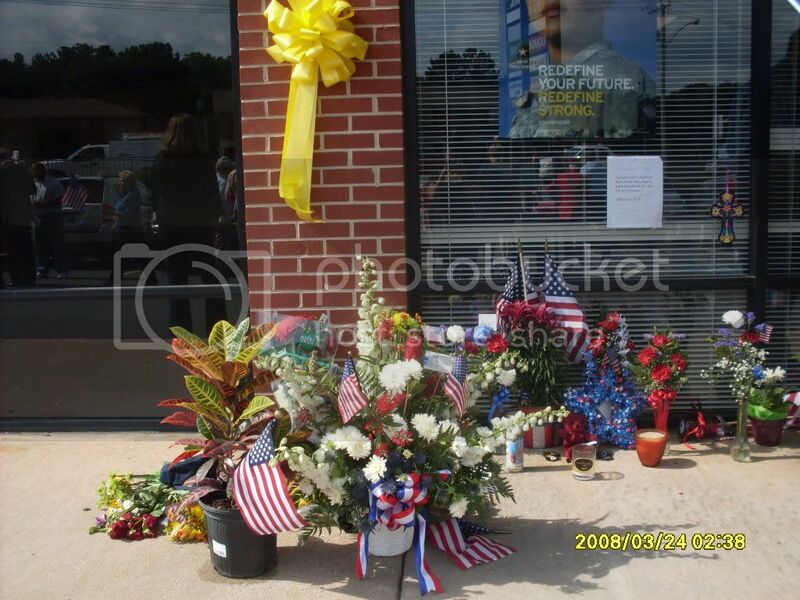 Though the mainstream media and government officials largely downplayed or ignored this heinous attack, Secure Arkansas sought to bring it to the public's attention by organizing a rally to support the troops and honor the men who so unexpectedly became the latest casualties of the War on Terror. The rally began with Ms. Jeannie Burlsworth, founder of Secure Arkansas, leading the crowd in the Pledge of Allegiance. Ms. Cindra Bell then sang the Star Spangled Banner and Kime Eubanks offered a prayer for the murdered soldiers and their families, all American servicemen serving across the globe, and for our country's safety in this time when our own soil is no longer a safe harbor from the hate-filled and violent radical Islamists who seek to destroy us. The local Army Recruiting Commander, Capt Mathew Feehan then thanked the crowd for supporting the troops and Rex Roark of the Governor's Commission for Veterans' Affairs followed with comments on the sacrifices made by American servicemen and women serving both here and abroad. Jim Porter, past Post Commander of VFW Post 10483, then spoke on the need to bring back the level of support shown to American troops during and following WWII. State Representative Ed Garner then closed by honoring Long and Ezeagwula thanking the crowd for doing so. Several men and women stood at the street holding signs (see photos below) to encourage others to stop and participate in the vigil. Though I was standing in the parking lot and not close to the street, I couldn't help but hear the screams of an angry woman taking issue with those of us present at the rally. When I turned and looked toward the disturbance, I noticed a woman stopping her car on busy Rodney Parham Rd. in heavy traffic next to every person holding a sign. She was leaning across the seat to shake her fist and scream something unintelligible from my distant vantage point. However, the woman parked her car and stationed herself among those sign-carriers promoting the rally, but holding a small sign which proclaimed "Islam is Peace." She then began ranting about government involvement in 9/11, our "terrorist" actions in the war in Iraq, and that we were all brainwashed by the press which was complicit in some conspiracy with our government to wage war on Islam. When I asked the woman if Bledsoe committed this atrocity in the name of Islam, she refused to answer. Those attending were then invited to proceed to American Legion Post #1, where David Hall had stationed himself with his Traveling Liberty Bell. All in attendance were asked to ring the bell in honor of Pvt. Long and donations were taken for the Wounded Warrior Project in Long's name. Special thanks to my daughter, Amanda, who attended the rally with me and served as my photographer and videographer. She took the video above and you can view her photos of the memorial here. Posted by John M. Allison III : Post Link --> 11:38 AM 0 Comments - Share Yours! by Bill Smith, ARRA Editor and 22 year Veteran: Today, Arkansas will rally at 4 pm in front of the Army-Navy Recruiting Station in Little Rock to show support for our military. While most of the media, elected officials, and Commander-in-Chief Obama have ignored this terrorist attack in Arkansas, the rally participants will show their respect for our military and will mourn the loss of soldier Pvt. William Long, and will express concern for wounded soldier Pvt. Quinton Ezeagwula, for their military comrades and for the families of the victims of this terrorist attack in the heartland of America. Both soldiers were gunned down by Abdulhakim Mujahid Muhammad, a 21-year-old African-American man who had changed his name from Carlos Leon Bledsoe after he converted to Islam. In Arabic, the word mujahid is the singular form of mujahideen, and it literally means one who engages in jihad. It appears that Abdulhakim operated as a "lone wolf" which is described in an article for STATFOR, a civilian global intelligence firm. The article by Scott Stewart and Fred Burton is titled: "Lone Wolf Lessons" and is identified on the STATFOR website as a "Global Security & Intelligence Report." It has a good rundown on the concepts and dangers of the "Lone Wolf" terrorist. However the most chilling part of the article is the allegation that the administration had ordered the FBI to “back off” of counterterrorism investigations into the activities of Black Muslim converts. An Arkansas source, a retired Army colonel, expressed that "this is a very damning allegation against the administration. . . . any administration. And yes, I am PO'd!" Abdulhakim Mujahid Muhammad was reportedly already under investigation by the FBI joint terrorism task force after he traveled to Yemen and was arrested there for using a Somali passport. However the details of the probe have not been revealed. But, it is now it is clear that the FBI had a prior interest in this "lone wolf terrorist." However, politics have proved obstructive to all facets of counterterrorism policy. And politics may have been at play in the Muhammad case as well as in other cases involving Black Muslim converts. Several weeks ago, STRATFOR heard from sources that the FBI and other law enforcement organizations had been ordered to “back off” of counterterrorism investigations into the activities of Black Muslim converts. At this point, it is unclear to us if that guidance was given by the White House or the Department of Justice, or if it was promulgated by the agencies themselves, anticipating the wishes of President Barack Obama and Attorney General Eric Holder. As STRATFOR has previously noted, the FBI has a culture that is very conservative and risk-averse. Many FBI supervisors are reluctant to authorize investigations that they believe may have negative blow-back on their career advancement. In light of this institutional culture, and the order to be careful in investigations relating to Black* Muslim converts, it would not be at all surprising to us if a supervisor refused to authorize a full-field investigation of Muhammad that would have included surveillance of his activities. Though in practical terms, even if a full-field investigation had been authorized, due to the caution being exercised in cases related to Black* Muslim converts, the case would most likely have been micromanaged to the point of inaction by the special agent in charge of the office involved or by FBI headquarters. Let's reflect for a moment. First, note again that President Barack Hussein Obama has remained silent since the incident and in face of his planned trip to meet with Muslim leaders in the Middle East. As Commander-in-Chief, he and his administration, including the Secretary of the Defense and the Attorney General have remained mute and failed to both condemn this act or to comfort the families, friends, and comrades of the victims or to express concern for the severely wounded soldier. When Fox News asked the White House staff yesterday what they had to say, they related that they were working on a statement to be released. Well, no thanks to any three days old or more concern! [A] White House official briefed reporters on the trip and emphasized Obama’s Muslim roots. According to Jake Tapper of ABC, the aide said, “The president himself experienced Islam on three continents . . . you know growing up in Indonesia, having a Muslim father – obviously Muslim Americans (are) a key part of Illinois and Chicago.” However, During the presidential campaign it became forbidden in any way to draw attention to candidate Obama’s Muslim roots. . . . Obama himself attacked any suggestion he had Muslim roots. . . . Barack Hussein Obama wants it both ways. In his world view, America isn’t a Christian country but it is one of the largest Muslim countries in the world. He doesn’t want anyone to bring up his Muslim roots when they are talking to American voters, but his Muslim roots become the main selling point when he is headed to Cairo and Saudi Arabia. Had the FBI opened a full-field investigation on Muhammad, and had it conducted surveillance on him, it would have been able to watch him participate in preoperational activities such as conducting surveillance of potential targets and obtaining weapons. There is certainly going to be an internal inquiry at the FBI and Department of Justice — and perhaps even in Congress — to determine where the points of failure were in this case. We will be watching with interest to see what really transpired. The details will be extremely interesting, especially coming at a time when the Obama administration appears to be following the Clinton-era policy of stressing the primacy of the FBI and the law enforcement aspect of counterterrorism policy at the expense of intelligence and other elements. The above points beg many questions: Why did President Barack Hussein Obama ignore Private William Long, Private Quinton Ezeagwula, the military recruiters, their friends and families, and the people of Arkansas? Why would the Obama administration order the FBI and other law enforcement organizations to “back off” of counterterrorism investigations into the activities of Black Muslim converts? Why did the Department of Homeland Security issue a document labeling conservatives, pro- constitution, Pro-bill of rights, veterans, as "right-wing" extremists and potential domestic terrorists? The AP reports: President Barack Obama met with Saudi King Abdullah on Wednesday in Riyadh, where he stressed the need for the two countries to cooperate. "I am confident that working together that the United States and Saudi Arabia can make progress on a whole host of issues of mutual interest," said Obama. Pakistan was expected to be on the agenda when the two leaders met. . . . Obama's defense secretary, Robert Gates, has already asked the Saudis for help in staving off the spread of militants in Pakistan and encouraging Pakistani officials to work together in countering the terrorist threat. NPR Reports: Obama is scheduled to deliver a speech in Cairo on the US relationship with the world's 1.5 billion Muslims. . . . Obama brings perceived advantages — he's the son of a Kenyan Muslim and lived part of his childhood in Indonesia, the world's most populous Muslim country. . . . "I thought it was very important to come to the place where Islam began and to seek his majesty's counsel and to discuss with him many of the issues that we confront here in the Middle East," Obama said. President Obama, today you may be speaking to 1.5 billion Muslims but the fact is that the majority of them will not hear you or will refuse to hear you because you have violated the "sacred laws" of Islam by converting from Islam to Christianity. Therefore, you are to them -worse than an infidel. President Obama, today the blood on the pavement outside of the Army Recruiting Station in Little Rock, Arkansas cries out for justice and for a president worthy to be called the Commander-in-Chief. You have dishonored a fallen soldier and elevated the enemies of our country. Your administration has ordered the FBI and other law enforcement organizations to “back off” of counterterrorism investigations into the activities of black* Muslim converts. You have catered to our enemy in an attempt at appeasement. Your dismissive attitude, your being retroactively sorry, or your making someone else the fall guy won't cut it this time! I join with the aforementioned retired colonel and the hearts of millions of Americans in stating emphatically that I am more than PO'd with you. Mr. Obama - I Do Not salute you! * The use of the word "Black" is reported to remain consistent in context with the original STRATFOR article. However, for this author, a person's color or race are not issues. The issues remain the Obama administration's interference in government investigations and President Obama and others disregard for the American soldiers attacked in Little Rock, Arkansas. Tags: ARRA News, Barack Hussein Obama, Barrack Obama, Bill Smith, FBI, Little Rock, middle east, Muslims, STRATFOR, veterans To share or post to your site, click on "Post Link". Please mention / link to America's Best Choice. Thanks! Posted by Bill Smith : Post Link --> 10:49 AM 0 Comments - Share Yours! Posted by John M. Allison III : Post Link --> 10:54 PM 0 Comments - Share Yours! The Silence is deafening! Where is Commander-in-Chief Obama? Bill Smith, ARRA News Service: Yesterday, we heard the shocking news that a Muslim convert "with political and religious motives" shot two uniformed soldiers outside a Little Rock, Arkansas military recruiting center. Private William Long, 23, died, and Private Quinton Ezeagwula, 18, was wounded and is currently in stable condition. According to Lt. Col. Thomas F. Artis of the Oklahoma City Recruiting Battalion, the two soldiers had completed basic training within the past two weeks and were not "regular" recruiters. In the military terminology, the Army had allowed these two young men to return home after basic training for a designated period of time before reporting to their next military dusty assignment if they would work with recruiters and assist them in recruiting and talking to potential recruits. Little Rock police are commended for quickly located and arrested Abdulhakim Mujahid Muhammad, 23 who was previously known as Carlos Bledsoe before he converted to Islam. The scuttlebutt is that Abdulhakim relocated to Arkansas from Memphis, TN after converting to Islam and attending a terrorist training camp. He was reportedly already under investigation by the FBI joint terrorism task force after he traveled to Yemen and was arrested there for using a Somali passport. However the details of the probe are not yet known. When arraigned this morning, Muhammud / Bedsloe entered a not guilty plea. However, Lt. Terry Hastings, of the LRPD said that the accused said, "He saw them standing there and drove up and shot them. That's what he said." Little Rock Police Chief Stuart Thomas said, "Interviews with police show Muhammad 'probably had political and religious motives for the attack.'" Of interest is the use of terminology describing this crime. The the news media are issuing the term "killed"and other plain wrapper terms with regard to the cold blooded murder of an American soldier and critical wounding of another. However, the news media used more inflammatory words like "murder " with respect to the recent shooting of late term abortionist Dr. Tiller. Also, while the Obama administration under Attorney General Holder felt it was necessary to activate U.S. marshals to provide protection to various civilian individuals based on attack on Tiller, there has been no show of concern by the Obama administration over the attack on these young military servicemen on U.S. soil. Where are the compassionate public words of Commander-in-Chief President Obama or any of his key staff in regard to the death of one and wounding of another servicemen . This morning we reported on President Obama's announced nomination for the Secretary of the Army. However , the "Commander-in-chief" has not expressed concern for the fallen and injured servicemen in Little Rock. Again - there has been no condemnation of the killing of an American serviceman and the wounding of another in the heartland of America. Also, there has been no expressed concern for the victims' families or for the recovery of the wounded soldier. Also, where is the expressed concern by the aforementioned Attorney General Holder or by the Secretary of Defense Robert Gates. With Obama's planned meetings with Muslim Middle East leaders, Obama and his administration seems to be choosing to ignore this situation. The shooting of a military serviceman used to be a Federal crime? The Silence is deafening! Tags: Arkansas, ARRA News, Barack Obama, Bill Smith, Commander-in-Chief, Eric Holder, injured troops, Islamic terrorist, Little Rock, military, Murder, Muslim, Robert Gates To share or post to your site, click on "Post Link". Please mention / link to America's Best Choice. Thanks! Posted by Bill Smith : Post Link --> 5:10 PM 0 Comments - Share Yours!